This is my second time of participating in academic conference, and I have noticed some changes in my attitudes and perceptions about the conference. I came to realize that the conference is important for experts in the field like researchers, officials and PhD students in terms of keep pace with field cutting-edge knowledge, widening academic social network, career advancement and so on. For academics, attending conferences enable him or her keep pace with the update findings and discoveries in the field; some may argue that this can be achieved by other ways, but there are more interactive face-to face discussions with famous scholars who can share their personal thoughts and answer some of your questions, which may further generate wonderful inspirations! Presenting your work at the conference is a great chance to get feedback from other scholars and these ‘good critiques’ or ‘praise’ are crucial for career advancement. Apart from that, the conference is good for widening academic social networking, but this requires preparatory work which includes finding out a few key people you want to get acquainted with, and prepare your questions and some topics to break the ice and initiate a discussion or personal talk. Last but not least, international conference can also offer the opportunity to travel and this inevitably depends on your personal schedule. Regarding to the personal thoughts about the theme of the next NIS conference, I would suggest that the focus should be on ‘Education quality and Teacher in Kazakhstan’. The overall quality of education is one of the most urgent issues in education system in Kazakhstan, and teachers are main actors in the whole process, whose qualification, professional capacity and career commitment exert great impact on the students’ school performances and outcomes. However, most teachers are not motivated or passionate due to low status, low salary, and overloaded paper work and less support from administrative level etc. Thus, I recommend that most attention should be paid to the teaching staff; the conference can invite international scholars with profound experiences of promoting overall status of teaching profession and improving the quality of teaching staff, more importantly, the officials from the Central Government and the Ministry of Education should also be invited as they are the most important agent in the educational reform. The episode of the podcast ‘Why don’t we speak the same language?’ is a discussion about the benefits and costs of linguistic diversity among several scholars in various fields like linguistics, economics, history and cognitive science. 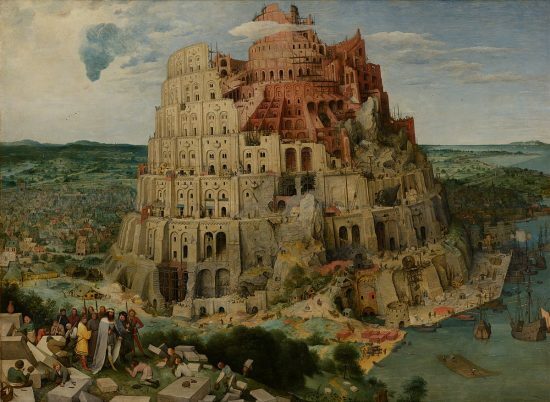 The discussion is elicited by the Bible story of Babel Tower to unfold the main idea as the diversity of language may cause confuse even conflict among different ethnic groups and impede the economic growth to some extent although there are still some benefits such as cognitive development and cultural interchange. The need to address this issue is to develop the knowledge of international language to bridge the mutual understanding and foster the international trade on one hand, and maintain the local languages to preserve the cultural diversities and encourage individual pluralism on the other hand. The organization of the episode is well developed and logically consistent, at the beginning the answer to the title as ‘Why don’t we speak the same language?’ is given by the understanding of the nature of human language is changeable and the speaker gives some examples of the change of the sound and development of the word. Then they gradually come into the discussion of the both sides of this linguistic diversity if we as human must accept that our languages cannot simply be unified as one language for all. On the negative side, the diversity has caused some issues such as misunderstanding between different ethnic groups and this even aggravated into serious conflicts and war. The argument is supported by the evidence of the linguistic war lasted for 26 years in Sri Lanka. The recent reconciliation of linguistic differences enables the society to alleviate the tension between local ethnic groups and promote the integration and stabilization. Further the argument of the cost of linguistic diversity is also given from economic perspective with the examples not only the paramount costs for language translation and learning but also the incidence of the trade between different linguistic groups will increase if they have common lingua franca. Notwithstanding there are some burden because of linguistic diversity, we still have bless from this and this is explained from the cultural and cognitive perspectives. What is interesting here is that the influence of the language on the way we think is shown by the experiment of Indonesian monolingual speakers who react slower than English speaker in time counting exercises because there is less tense verb in their language while bilingual Indonesian speakers have reacted more fast than monolingual counterparts. Thus the arguments for supporting the linguistic diversity are solidified by vivid and interesting examples and these make the argument more persuasive and strong. Generally, the episode has finally convinced me with the statement of the people of different ethnic groups should learn the world language to promote the internationalization; meanwhile the problem of losing local small languages needs our attention in order to preserve our cultural varieties. This is achieved by the logical development of arguments and each argument is supported by various evidences, and some of them are from opposite stances; this enables the argument to be strong and persuasive. The type of education I have had in the past was receptive teaching style that students solely play as the receivers of knowledge while authority of teachers must not be challenged nor questioned. An excellent student is someone who can learn by heart of what teachers have taught at classroom and perform well by following the track guided by teachers as well. Under this type of education system, students less likely to develop critical thinking ability which is considered to be one of the most important qualities of academic researcher. Thus, when I began my master study at Nazarbayev University I felt overwhelming with the amount of readings and writings. These require not just reading and understanding the content, but more importantly, our thoughts and opinions with in-depth analysis. However, with the guidance and support from our instructors and professors and my own consistent effort, I have gradually acclimated into this new academic research study and realized that there are some qualities other than academic or research skills seem to be necessary to be a good researcher. The curiosity drives the researcher to discover the unknown, and the passion empowers the researcher to persist the study even under unfavorable or hard conditions. Research work sounds very first-class and lofty in the appearance; actually the nature of it is ‘onerous’, ‘dull’ and ‘demanding’, and this requires the person who is indeed enthusiastic about the work itself rather than fame or publicity. Apart from this, I suppose that reflection is another prerequisite for being a good researcher. As adult, we always take for granted most thoughts in our minds without questioning them, and this turns our ways of living and working into mechanical and repetitive. A researcher who is reflective and attentive of his or her own thoughts, feelings and behaviors may become more open to different voices and more creative. This is my personal reflection of learning to do academic research, and more thoughts will be generated in the future as I pursue my research career with curiosity, passion and mindfulness. Globalization and internationalization are distinctive features of this new era; countries are becoming multiethnic as more and more immigrants have settled down for various reasons. Some countries have dealt with this successfully while some have problems such as inter-ethnic conflicts. The pluralist society aims at promoting the social cohesion as well as ameliorating ethnic tensions; it emphasizes on perceiving diversities among people as assets. “Respect for diversity transcends tolerance to embrace difference as an engine to commonwealth.” (Boutilier, 2012, p.1) However, the strong resolution to develop the pluralism, since the complexity of the society structure and the principle of the development of human society, is not enough. This should be followed by a series of choice to advance and construct the society, where the interest of every ethnic group have been taken into consideration and they can share as well as access to the national economic and social opportunities. Boutilier (2012, p. 3) points out that Canada’s success of constructing the pluralist society has been the process of making series of choice and “is not the fixed destination.” This means that the creation of the society where the individual differences and identities are accepted as well as respected has been the long-term process, starting with the declaration of the resolution to the diversity and followed with different decisions to make to ensure the nation stick to the first announcement. For instance, after the adoption of the Quebec Act in 1774 by British Parliament to ensure French people to attain their language and their religious belief; there have been a series of events to foster the continuous advancement of the pluralism: “recognition of bilingual Parliament and institution of federalism, official bilingualism, official multiculturalism, gender equality, aboriginal self-governance and asymmetrical federalism” (Boutilier, 2012, p.4). In the Kazakhstani context, after the independence, there had been a period of time that Kazakh language was admitted as the sole national language which caused pressure for multiethnic population, and this was amended by the government later by recognizing Russian also as one of official languages as well as defining Kazakhstan as multicultural nation. Until now, Kazakhstan has made a series of choice to ensure its multicultural identity by supporting multiethnic languages and cultures; these have laid the basic foundation as social cohesion for the country development. To sum up, the pluralist society is a long-way path, and also a continuous and progressive development which requires the making a series of choice as well as adamant resolution. Global Center for Pluralism. (January, 2012). Defining pluralism. Pluralism Papers, No. 1, 1-14. To continue for a PhD or not? “To continue for a PhD or not?” seems like a obscure question “To be or not to be” for many master students since the benefits of doctoral degree are believed to be profound on the one hand, and on the other hand, the difficulties as well as challenges are also a lot to count. Some people choose to continue doctoral study merely for the apparent or illusionary ‘benefits’ or ‘sake’ of the degree and then feel frustrated or disappointed by the real workload, academic requirements or research challenges of the study. Thus, the decision for that question merits full attention, requires meticulous self-analysis and personal core values’ weighing. What’s more, it is important to clarify the underlying simulation for the further study whether derives from the inside passion and enthusiasm or not. The first and foremost thing is to obtain more information about the doctoral program as complete and real as possible because sometimes the hesitation of making decision is due to the devoid of the complete insights into the issue. Additionally, it is important to consider both sides of the program; people are always misled by the unilateral feature of the doctoral program. The real picture may be totally different from what you expect or assume as an outsider; this can be achieved by interviewing or informal talking with the insider. After that we come to evaluate and rethink about the precedence of our life values; everyone has his or her own priorities for various values. For instance, some people value stability and security as the most important traits for a good life, whereas others construe challenge and adventure as the ‘must’ for life. Thus, it is important to realize that we may have our own distinct values for the life journey; we need not only to pick some values for us, but also drop some values as well since the hesitation is considered to be one of the most time-consuming as well as energy-consuming factors which hinder the progress in our study or work. Then we need deep self-analysis by revising our strengths as well as weaknesses in order to identify what we should improve or train for the enrollment of the program. However, the most crucial question for oneself is to ask whether he or she choose the further degree because of passion or enthusiasm for the field of study. This requires deep and honest self-reflection which may be tough for one as we are reluctant to be completely honest to ourselves. We get used to select the ‘best’ option for us by merely being dependent on our brain for weighing the advantages against disadvantages as ‘smart adult’; while we forget the original and natural ability we possess when we were as children, who are pure heart-followers choose to do only what most interest them with their passion. “Tiger parents” is the term which has emerged recently to describe most Asian-American and Chinese parents who are very strict, high-demanding and more controlling to their children. These parents hold the view that the world is so competitive that one has to study and work very hard to outperform the others and attain success; thus they have intensive study schedule for their children and believe that any of free time should not be wasted on ‘useless’ socializing or playing. Some people argue that this theory of children upbringing is again the accepted value towards child development in western countries. However, other people stand for this model since they themselves benefit from it and claim that they would not achieve their nowadays success without this strict parenting from their “tiger parents”. Su Yeong Kim who is an associate professor in the University of Texas conducted the research about the children upbringing, following about 300 Asian-American families for a decade (Tullis, 2013). When Kim began her research there was no conception about “tiger parents” until she read the book by Amy Chua Battle Hymn of the Tiger Mother which describes an Asian-American Yale professor mother’s successful story of raising “whizzes” (Tullis, 2013, para.2). This book indeed has triggered substantial attention to this upbringing theory which contradicts the traditional western one. Chua (as cited in Tullis, 2013) points out that “these Asian parents are tough and demanding, but they consistently produce whizzes.” (para.3). After reading the book of Chua, Kim published her results which counters the theory of “tiger parents” as she found that “children of these parents had lower academic achievement and greater psychological maladjustment” (Tullis, 2013). However, Liu (2013) argues that this current negative description of the ‘tiger parents’ is not fair. She emphasizes that her parents were very strict and demanding, but this was not due to “parental rejection of their worth as individuals”, but rather “ultimate belief in my self-worth” (para.4). Liu (2013) describes that she had a tough and hard time that she had to achieve high scores not only in school subjects but also in extra-classes; she felt frustrated and wanted to quit, but her mother pushed her to overcome all challenges. These experiences taught her that “failure is not a permanent state, but merely a temporary challenge that had to be tackled creatively” (para.6). Liu (2013) claims that she knows many “tiger cubs” that have attained career or family success and are making their efforts to the community development (para.9). As a mom of two boys, I personally favor the “authoritative parenting” which means that parents always pay attention to the feelings, behaviors, academic and non-academic achievements as well as failures but not act as “authoritarian” who controls everything, rather show respect to their children as independent individuals and accompany them sometimes as friend, sometimes as mentor, sometimes just as parent. This is my choice, so what about yours? Before the introduction of the UNT (Unified National Test) in 2004, the university entrance examination was taken in the form of oral examination at schools which is a legacy from the Soviet Union (Jumabayeva, 2016; Shamatov, 2012). According to Shamatov (2012), this form of examination was too subjective and easily involved corruptions which resulted in issues of equity as well as fairness for students from remote regions and poorer families. In order to address these issues, the UNT has been created to offer comparatively fair competition for all school leavers and cull the most deserving students by providing them with the state grants. From some personal experiences of my classmates and friends in Kazakhstan, to some extent they agree that UNT indeed enabled them to compete with other candidates and have opportunities to apply for the universities they wish to study. “Without the UNT, I would never have the chance to study in University of Semey, not mention to continue my master study here (at Nazarbayev University)”, said one of my classmates (personal conversation, 2016). The issue of equity has been improved greatly by introducing the UNT, but there are still some problems related to the unfairness such as private tutoring and the discrepancies of the qualities of teaching between rural and urban areas. Jumabayeva (2016) illustrates that private tutoring becomes very popular and is generally considered very worthy since if students get high score from the UNT, they will not only benefit from not paying for the tuition fee for four-year bachelor study, but also get the good marks on their school diploma. “This is unfair for those who has studied very hard for the whole school period but happened to be unlucky on the testing day” (Jumabayeva, 2016, p.4). Besides, the teaching quality is generally lower in rural areas compared with urban schools, students from poorer families cannot afford the private tutoring; these cause some problems in terms of equity and fairness. However, some initiatives have been taken such as good incentives in terms of financial supporting as well as housing facilities are offered to attract talented and qualified teachers to rural areas. The unfairness exists everywhere in the world but we can still try our best to make the education system become more transparent for all social groups; since the quality of education is one of the most crucial factors determining the economical as well as social development of the nation. To sum up, the UNT has been one of the most important educational reforms in Kazakhstan in recent two decades. It has achieved both success and setbacks. In general, it has improved the equity and transparency of the testing system; although, there are still some problems such as the content of the testing is considered to be “too shallow” to test the deep understanding, critical thinking ability of the candidates. I would like to agree with the conclusion of Jumabayeva (2016) that “the general structure of the UNT is good but the content needs improvements” (p.6).